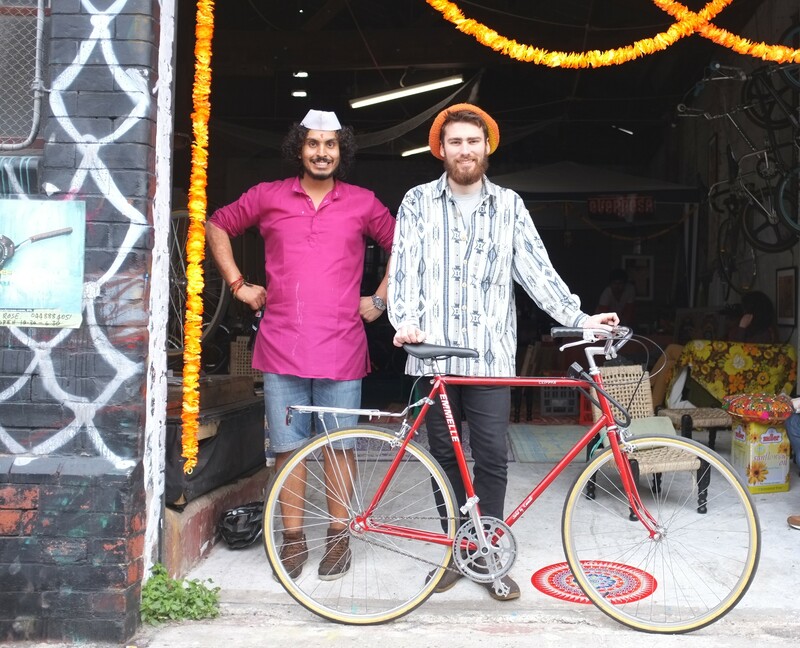 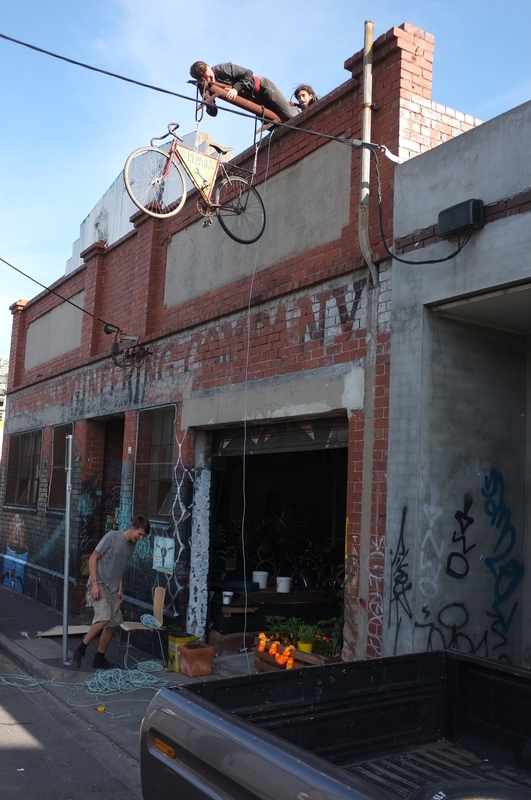 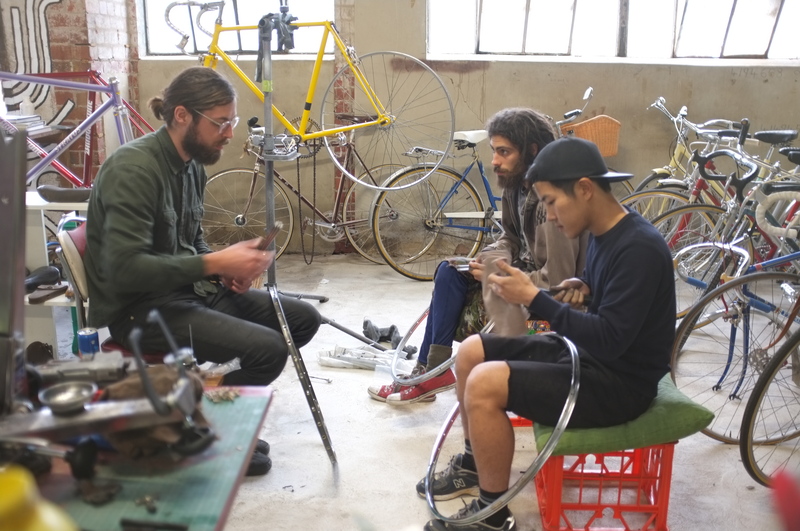 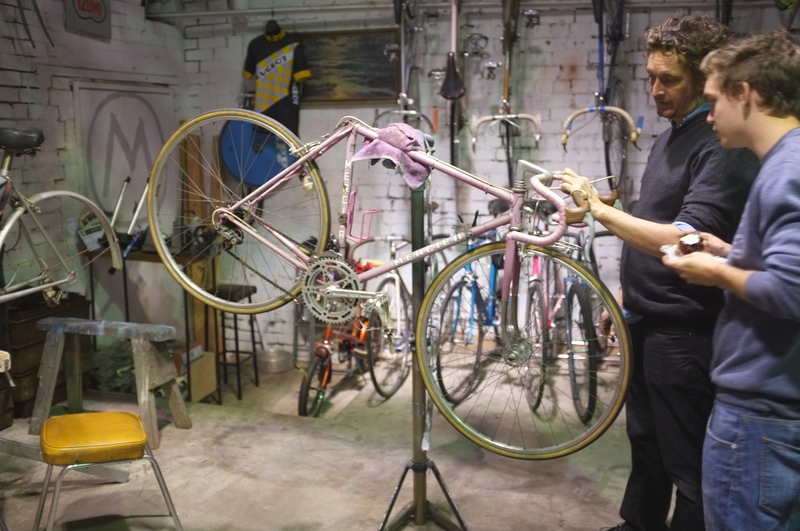 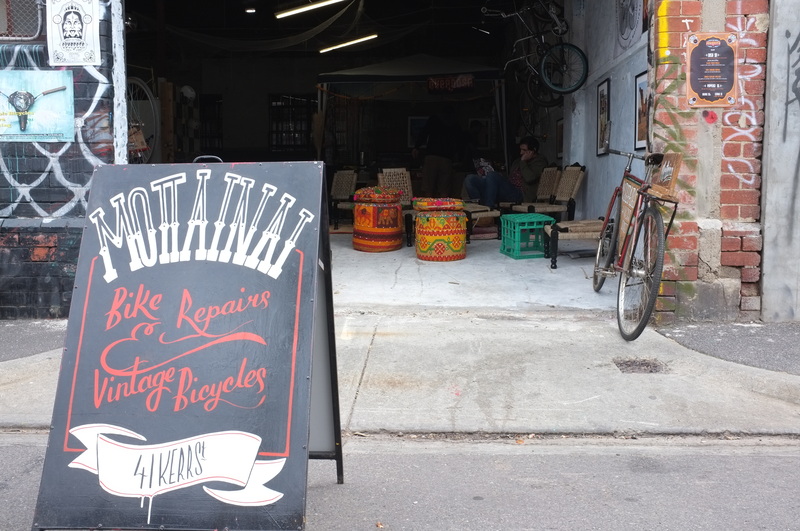 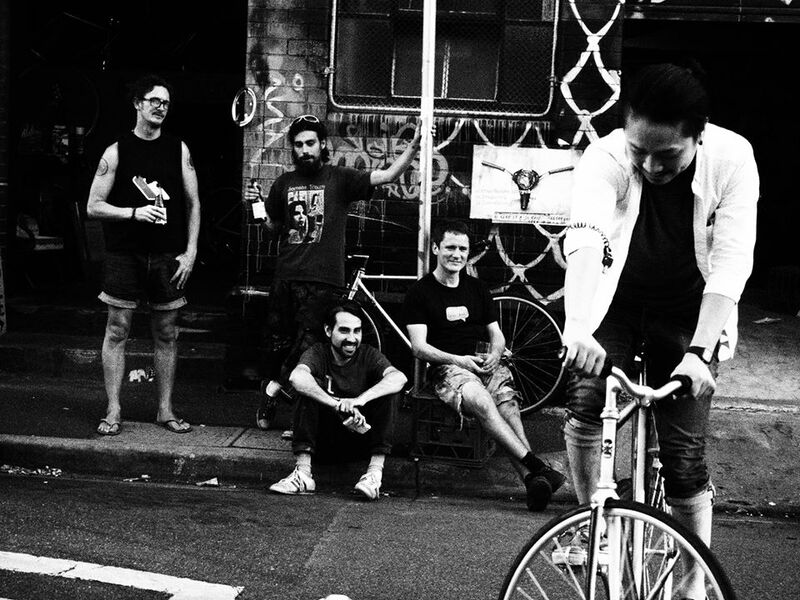 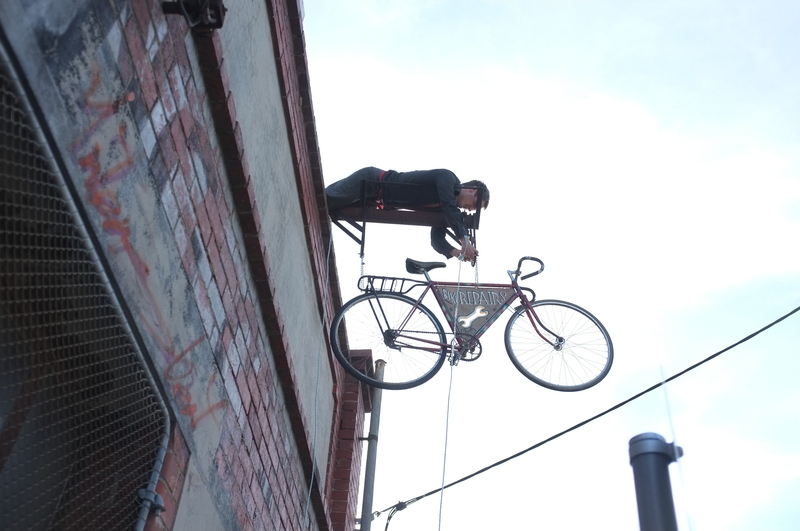 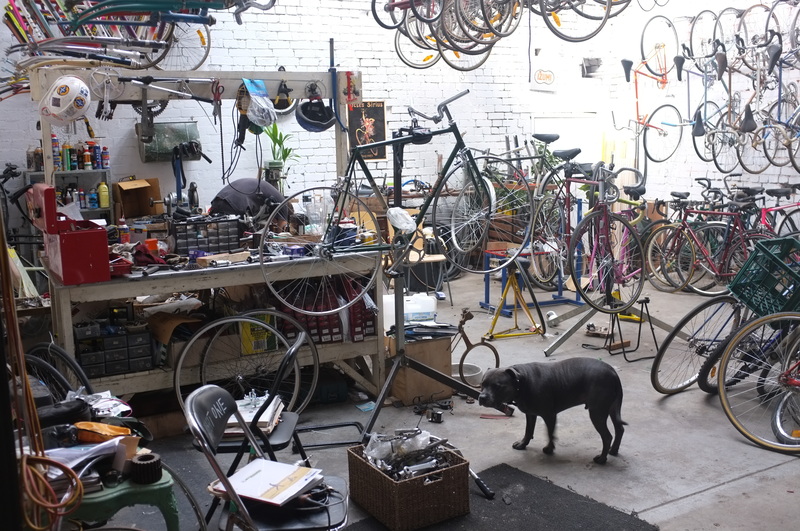 The juxtaposition of a vintage bike workshop and an Indian street food eatery, it works! 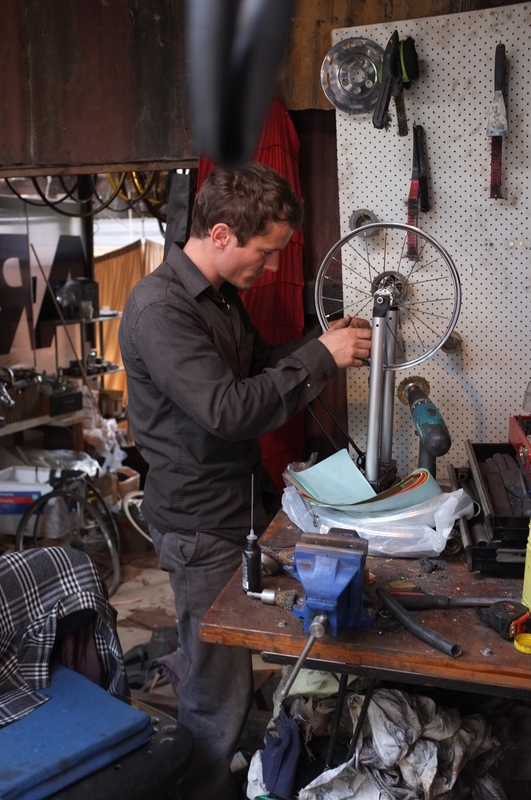 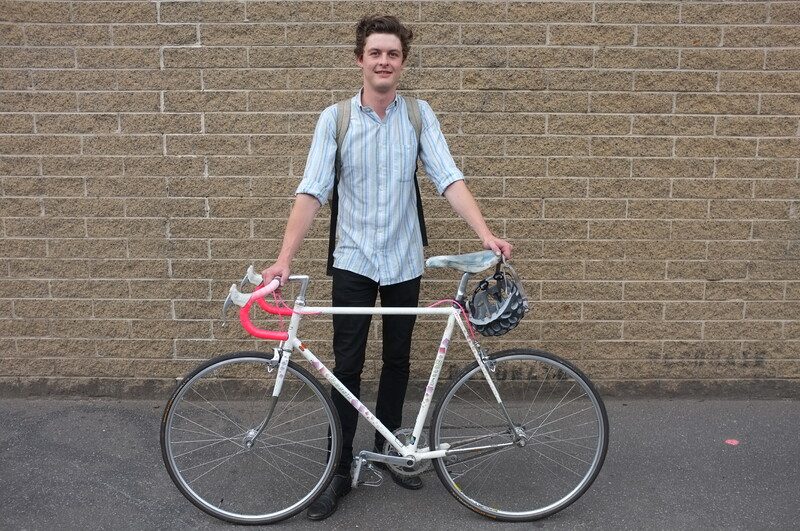 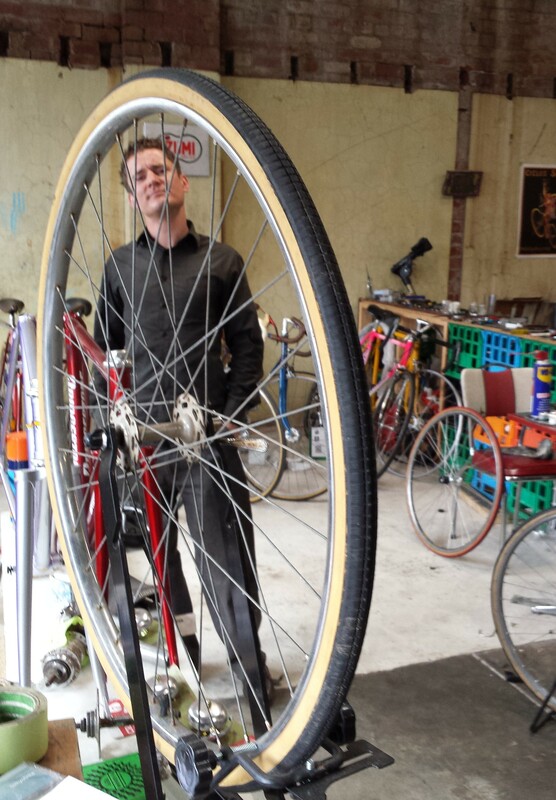 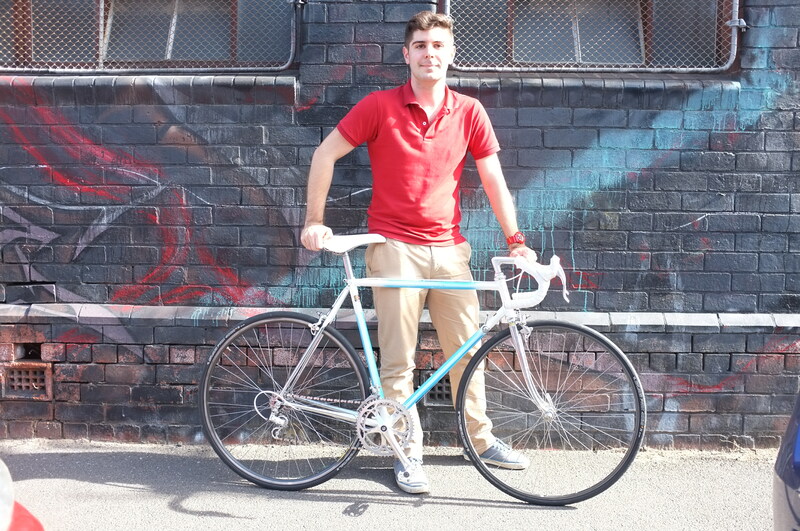 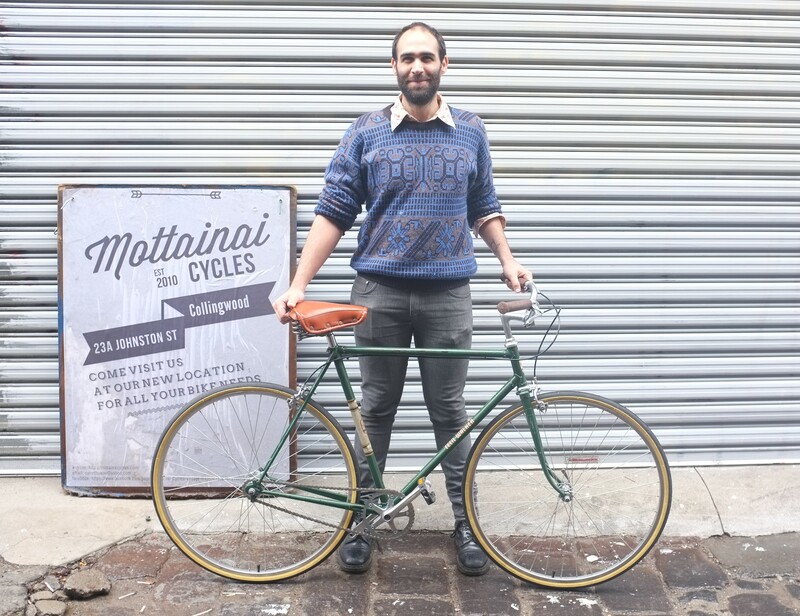 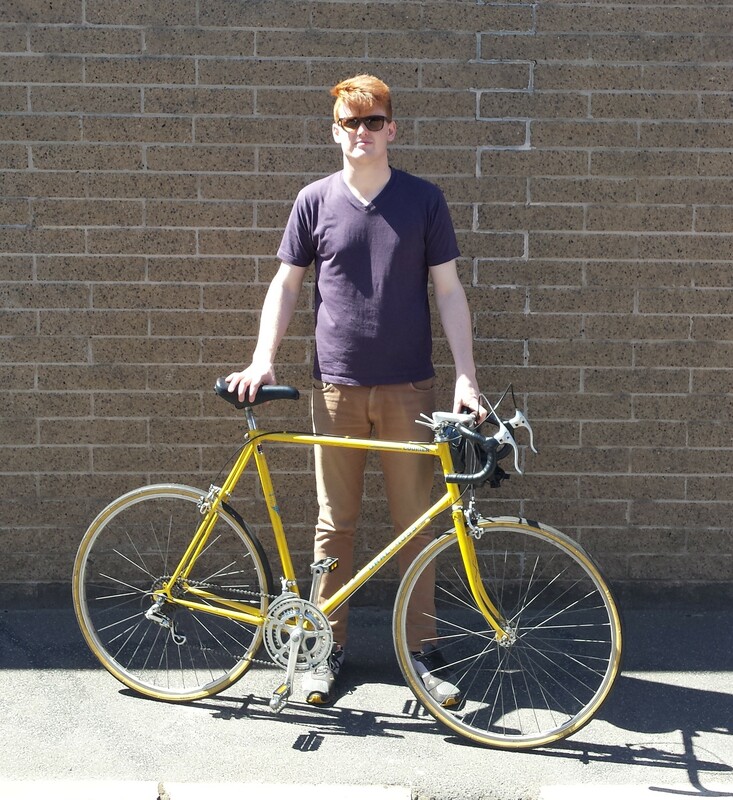 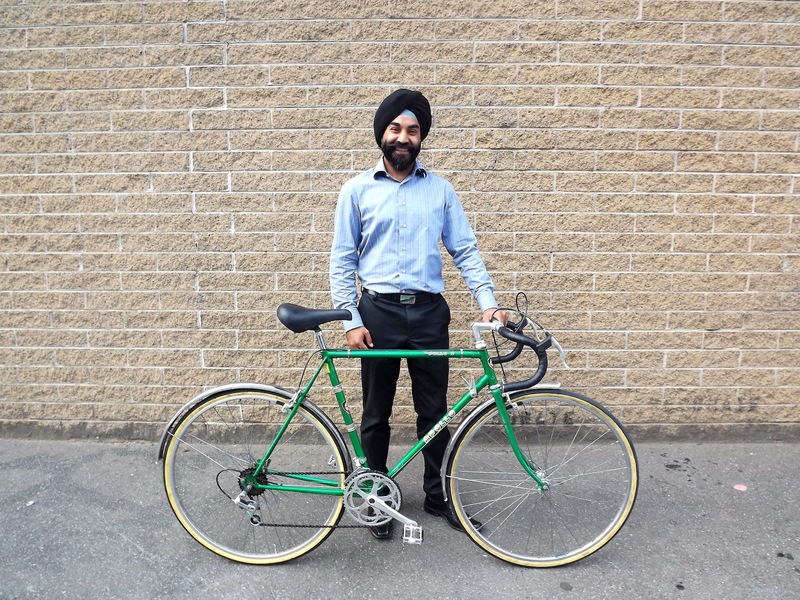 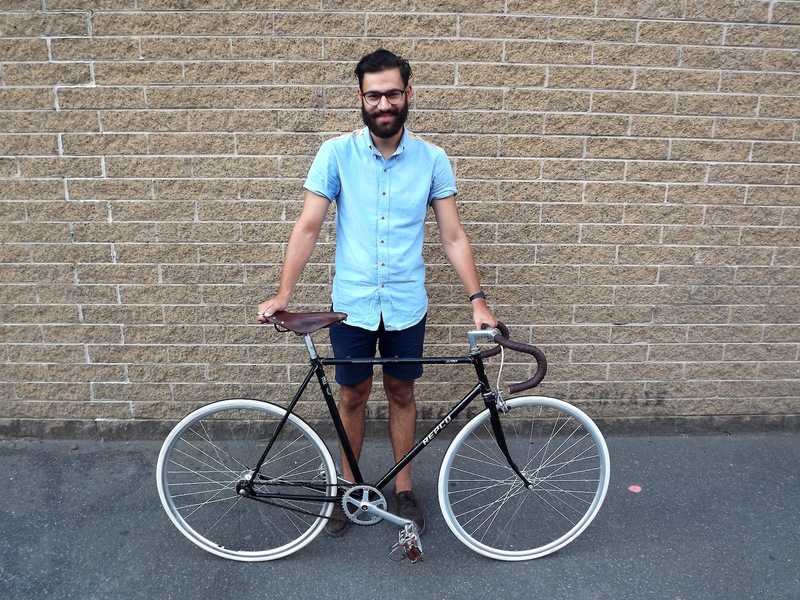 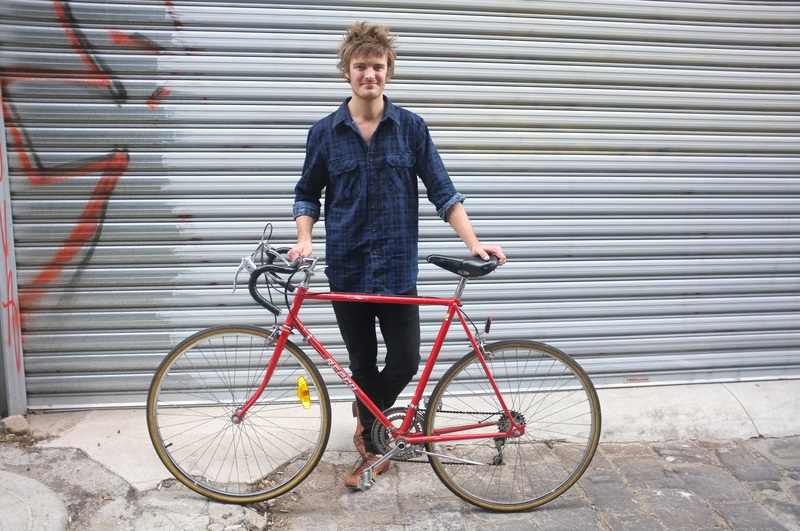 Restored single speed conversion with the magical Kunal (aka Supreme grandpoohbar Dosa Master). 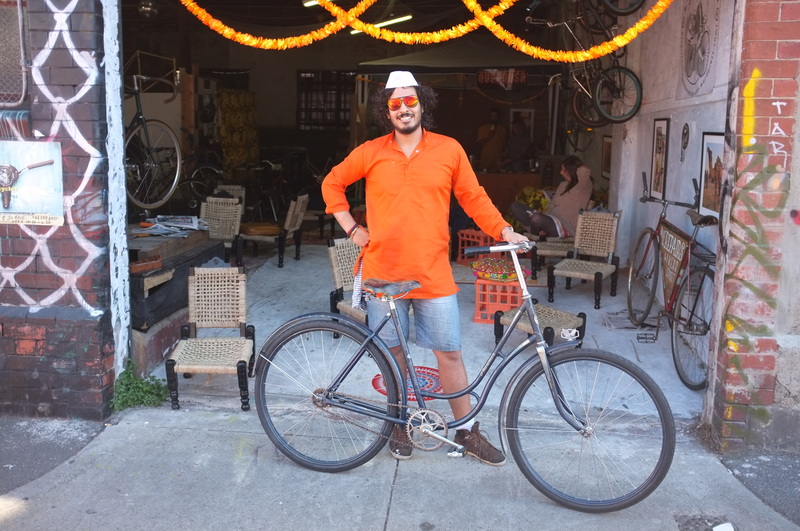 The Kunal factor, the supreme grandpoohbar of the Dosa, equally exuding coolness and attractiveness. 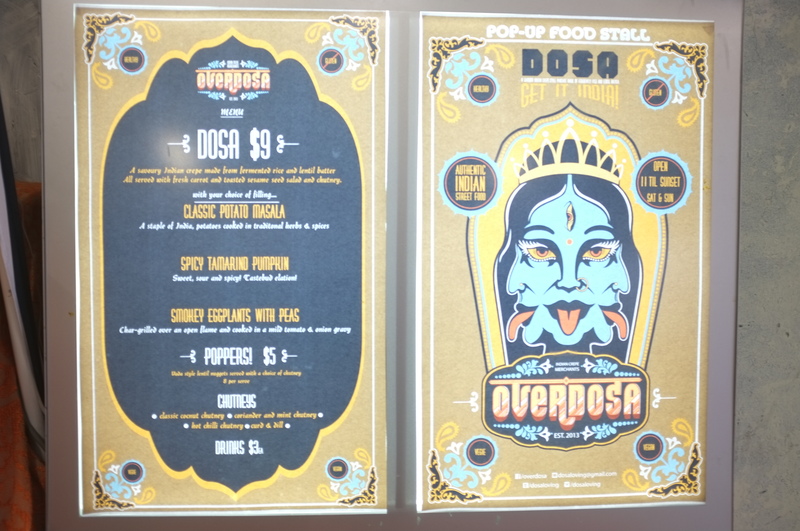 Try his vegetarian street food on Sat/Sundays. 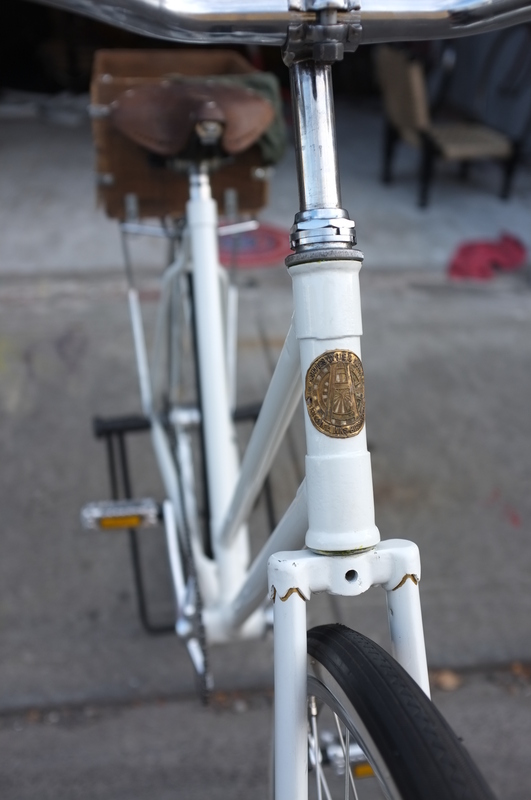 A full restoration on a 1950’s Hercules a British bicycle, repainted pearl white with custom made box and Brooks saddle with Sturmey Archer cranks and Sturmey A. 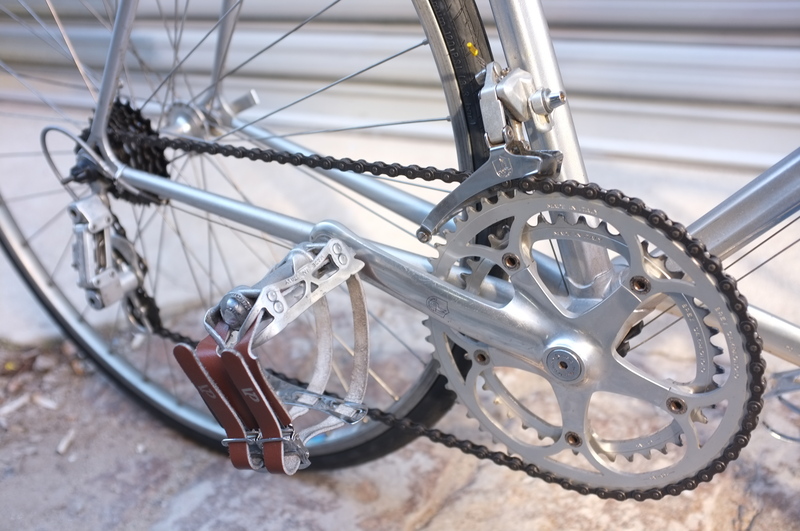 2 speed kick back rear hub. 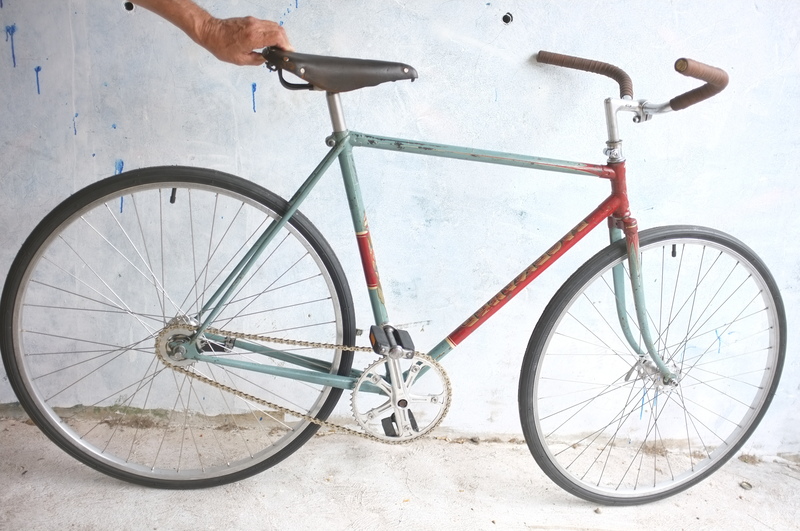 Pure vintage style. 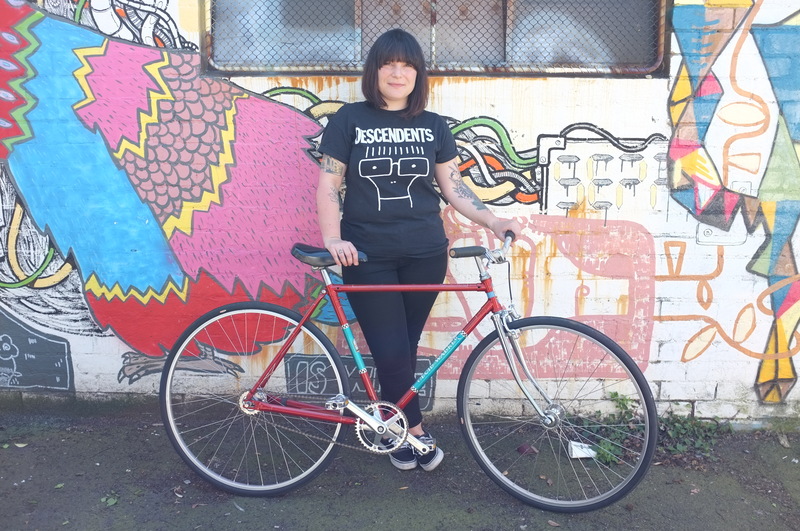 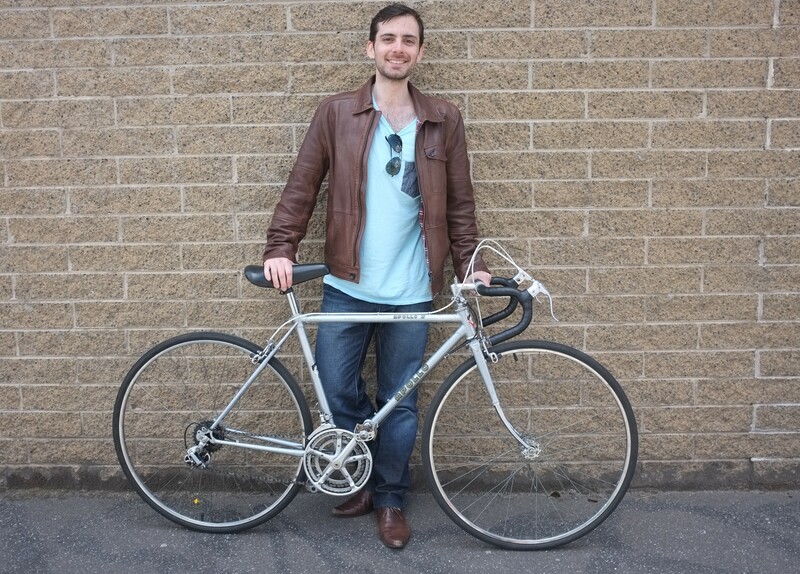 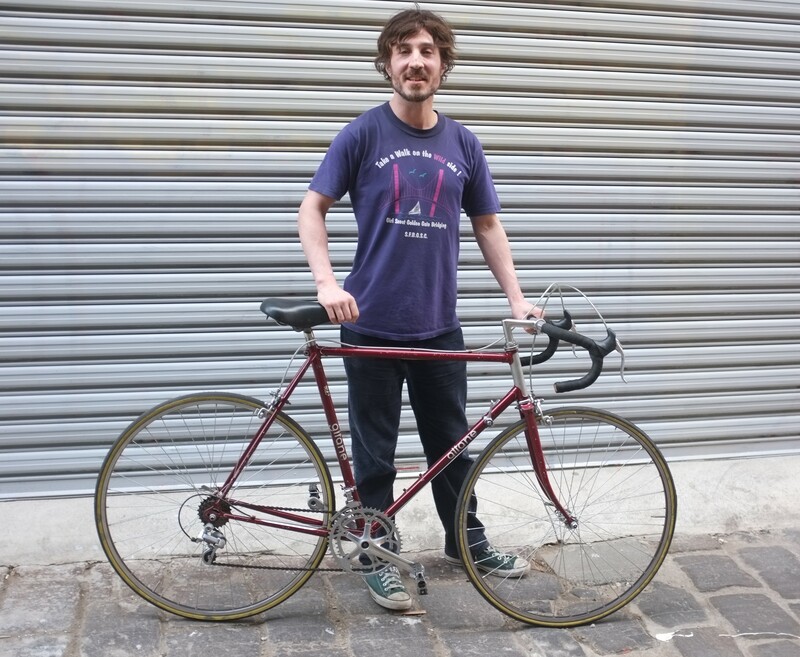 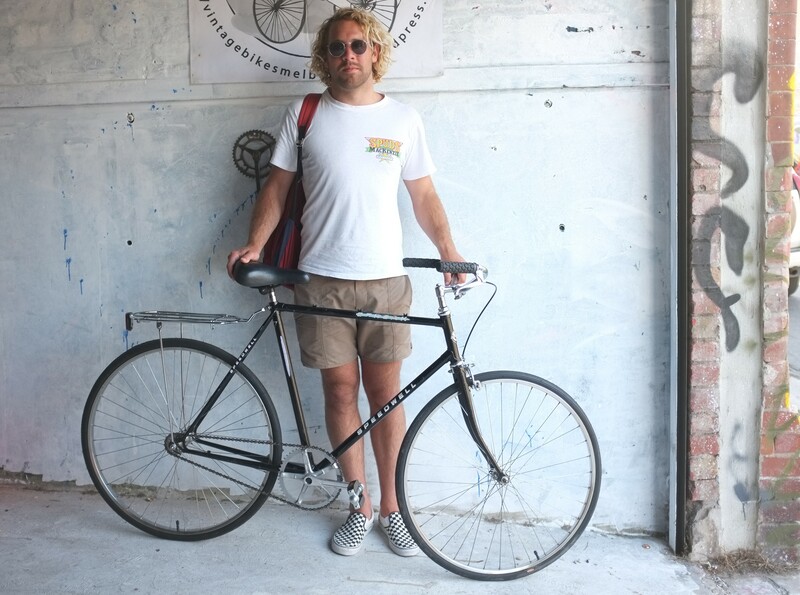 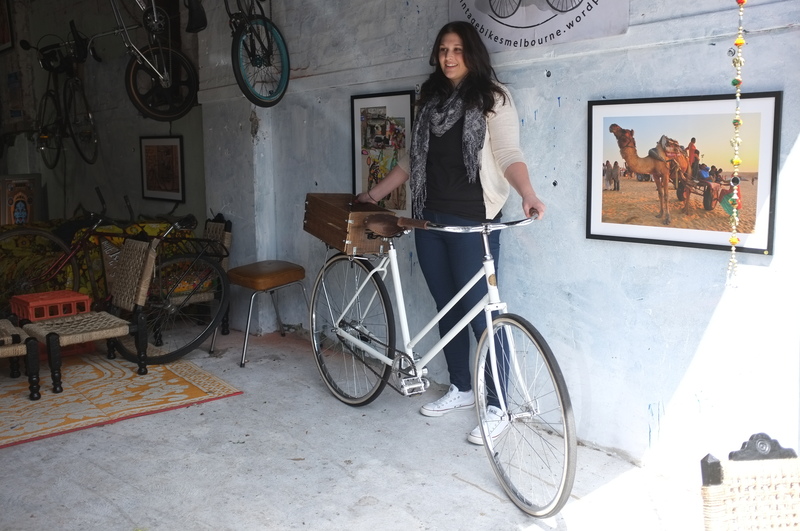 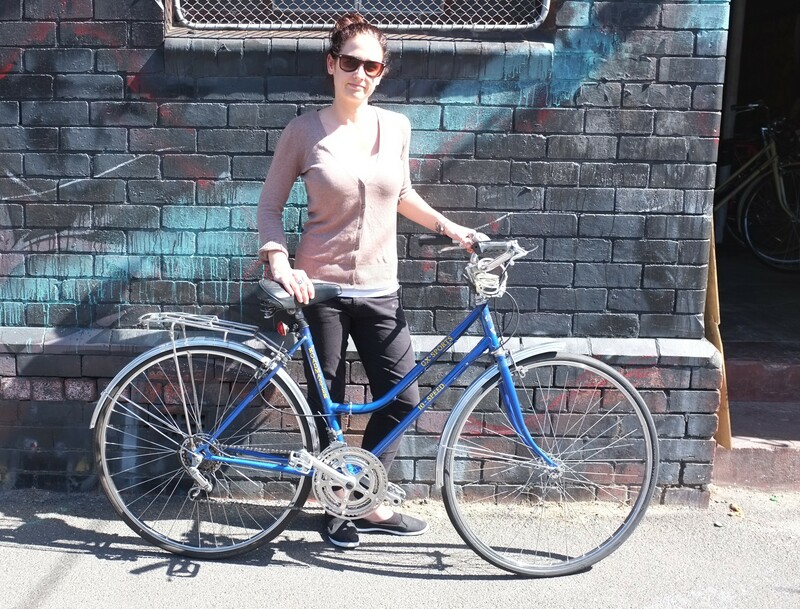 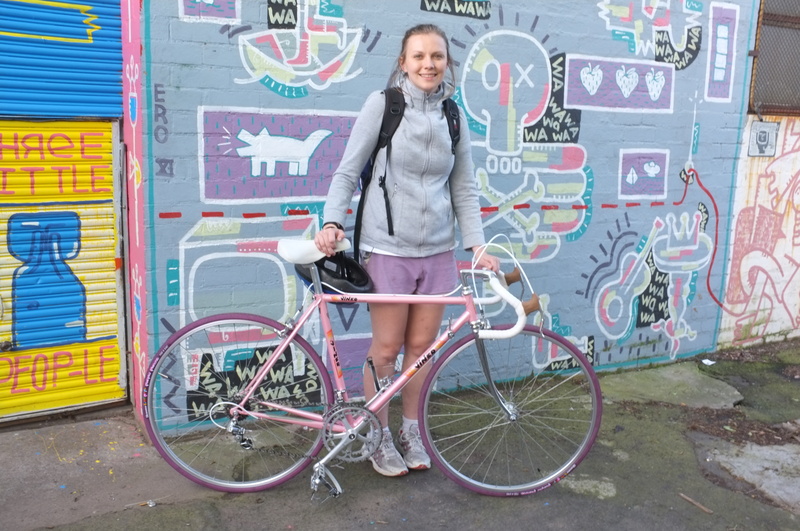 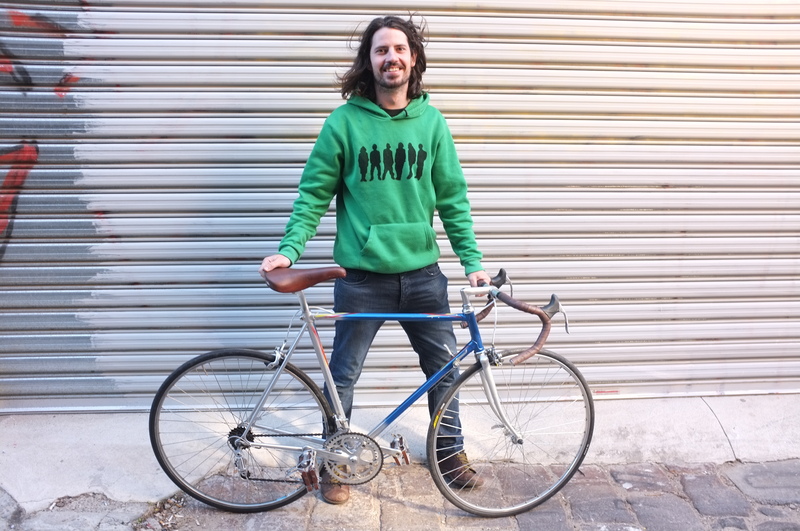 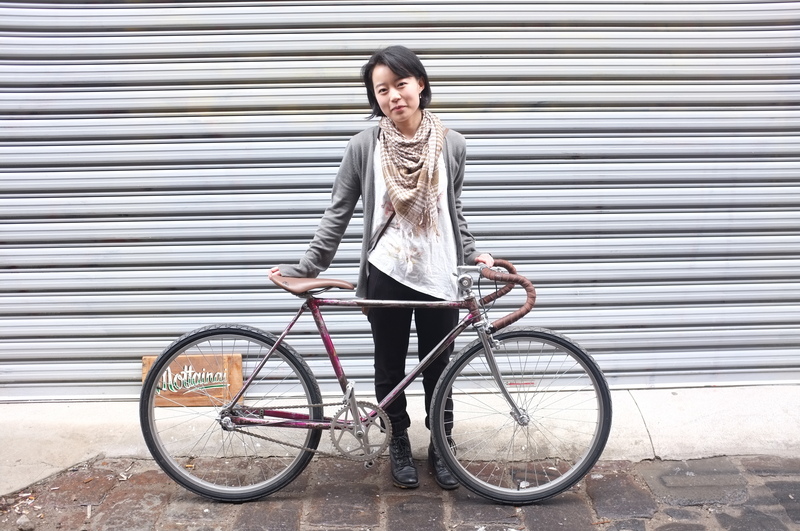 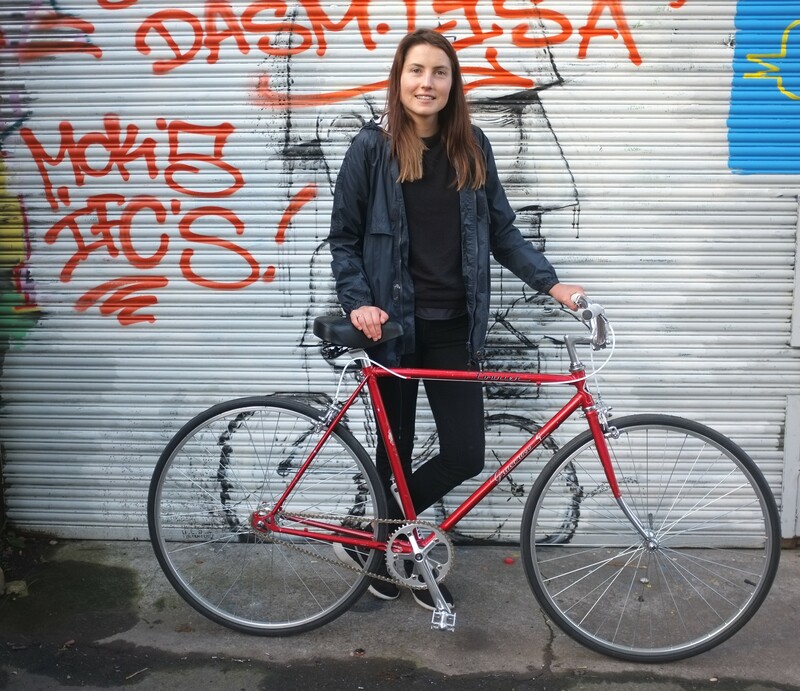 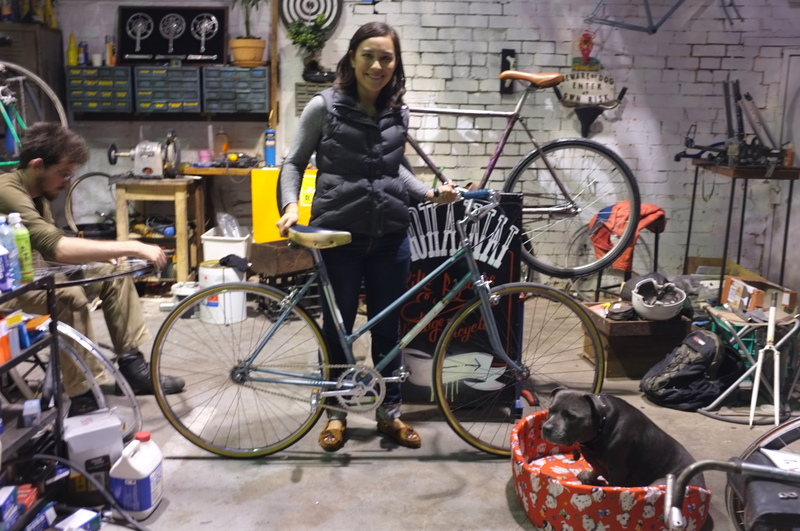 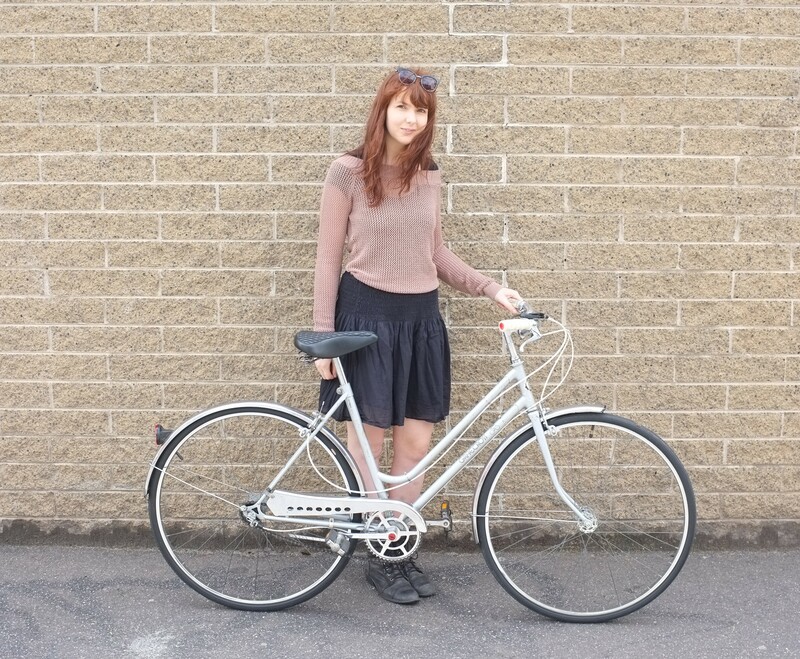 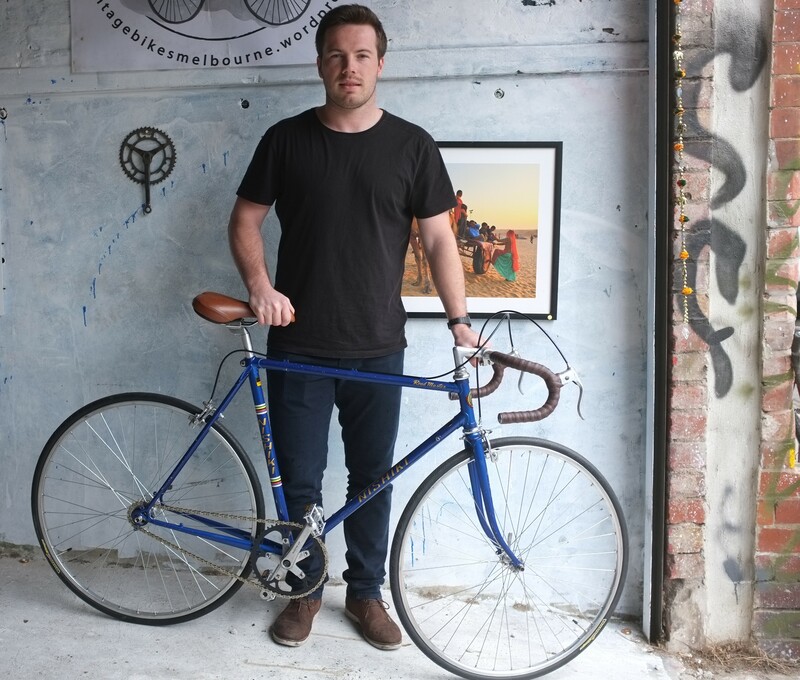 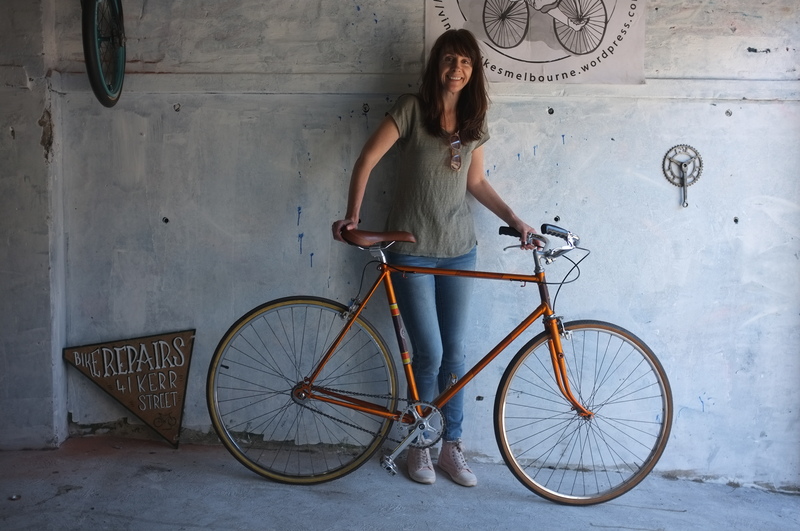 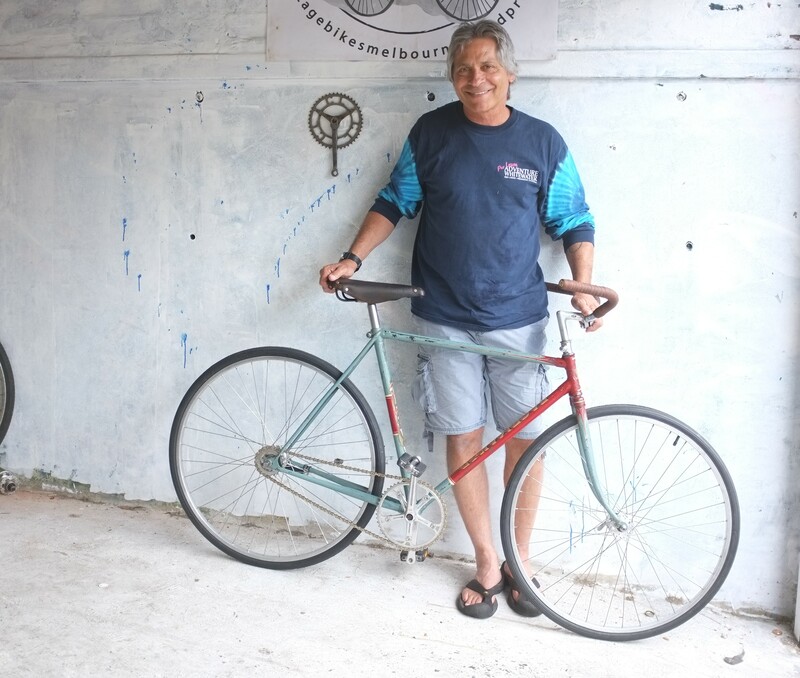 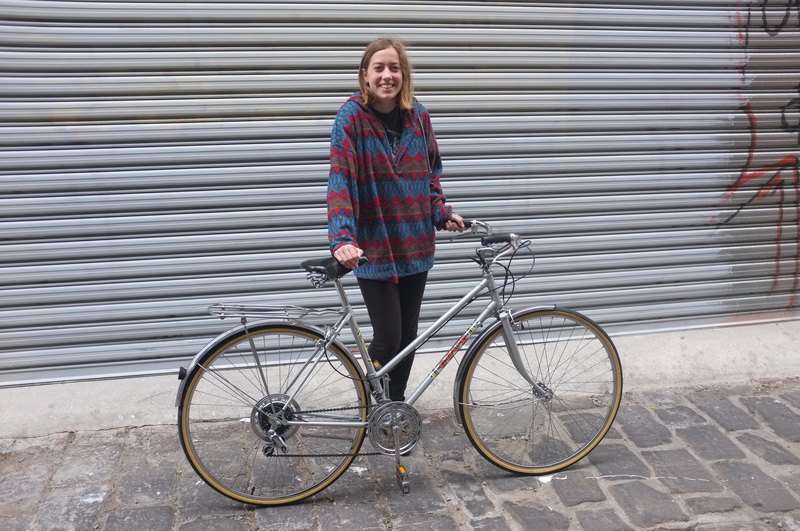 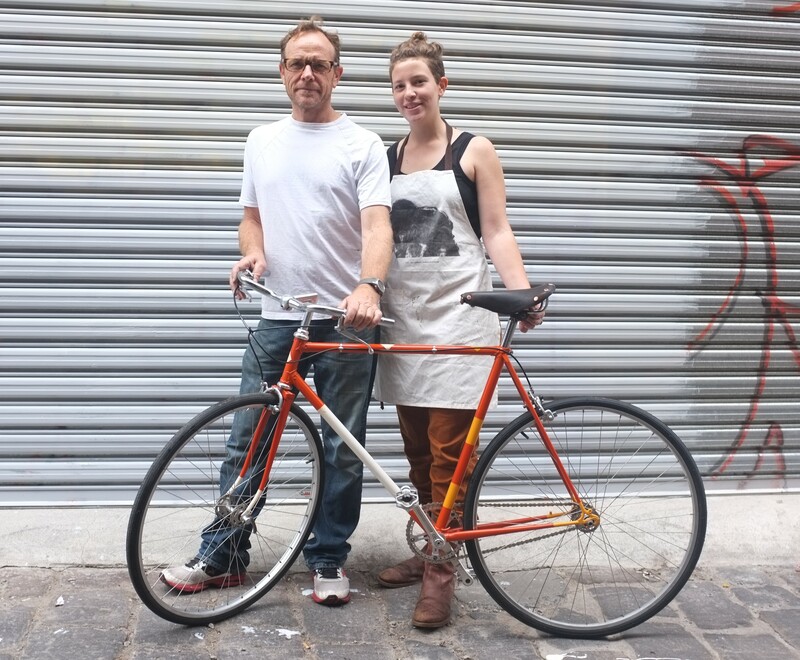 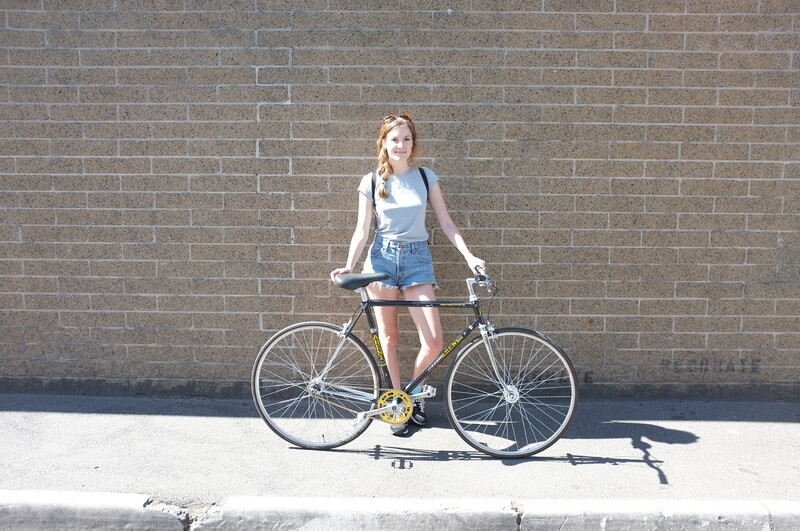 The owner of the Hercules project picks up her restored bike. 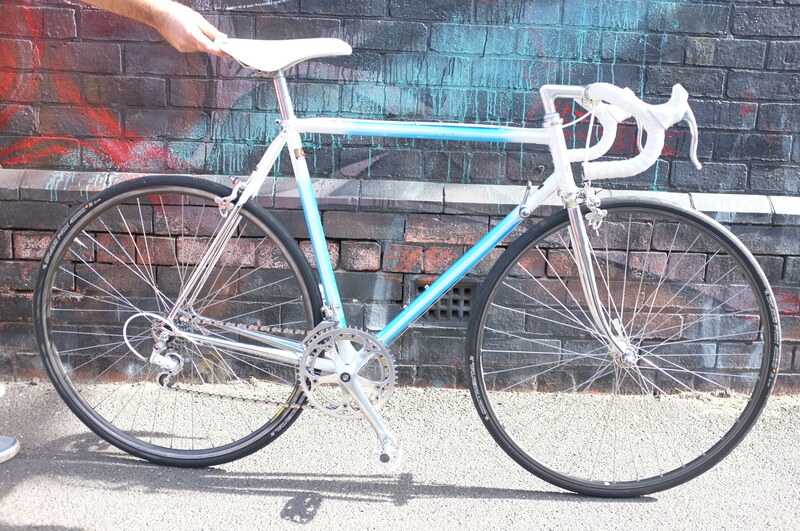 1980’s Paletti road bike built up with a Suntour Superb Pro groupset. 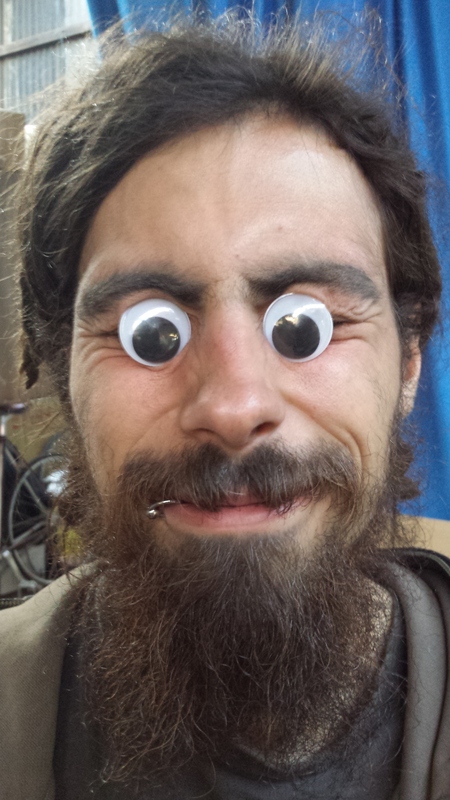 Work of art! 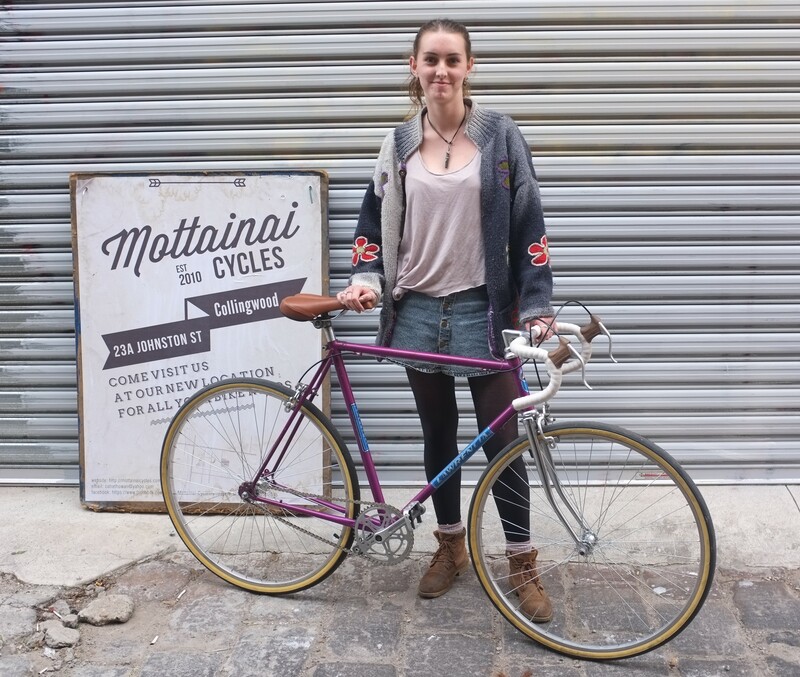 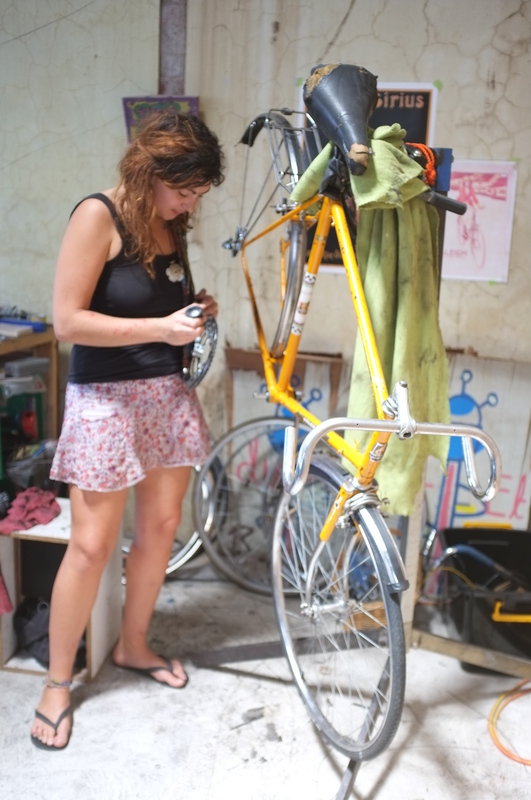 This young lady brought in her Mother’s bike for a restoration so she could continue to use it. 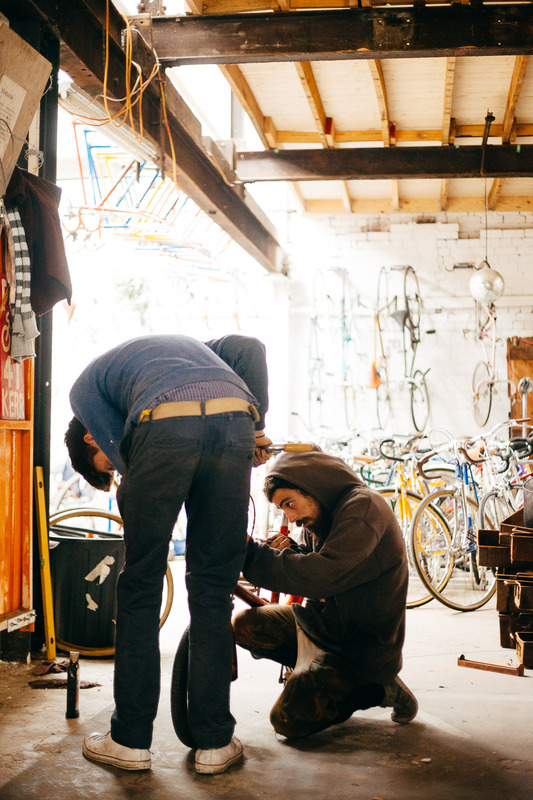 We love projects that have a bit of a story behind them. 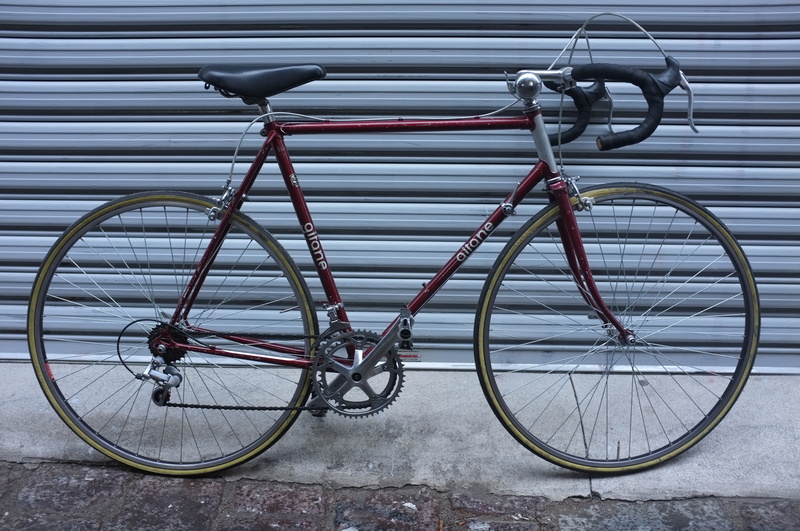 A Peugeot in extremely good condition from the 1970’s, all original parts. 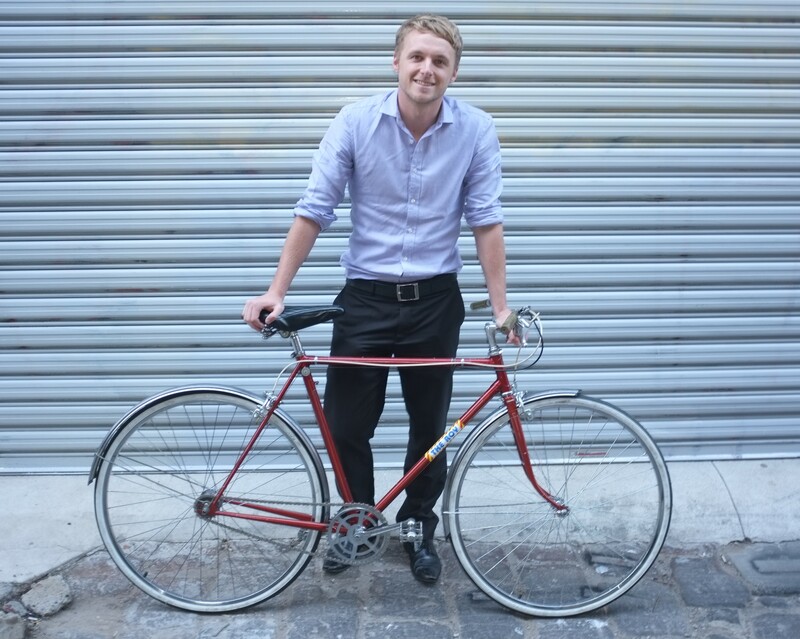 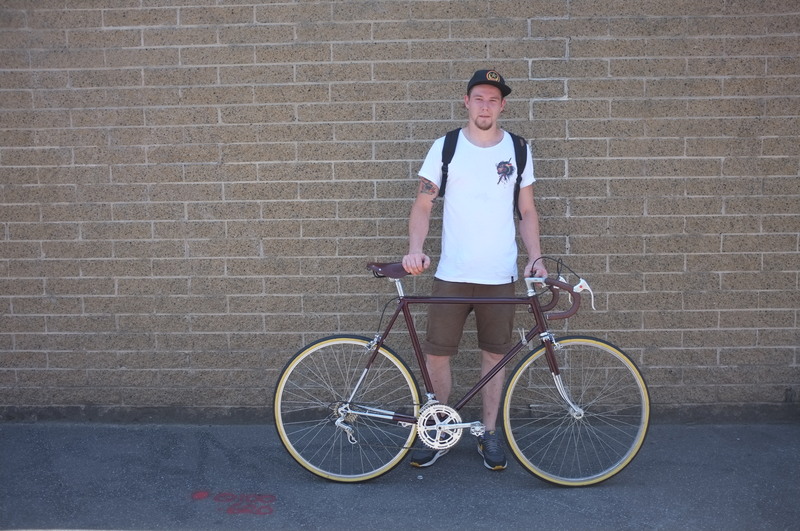 The Dudes bike, single speed conversion, black and fast! 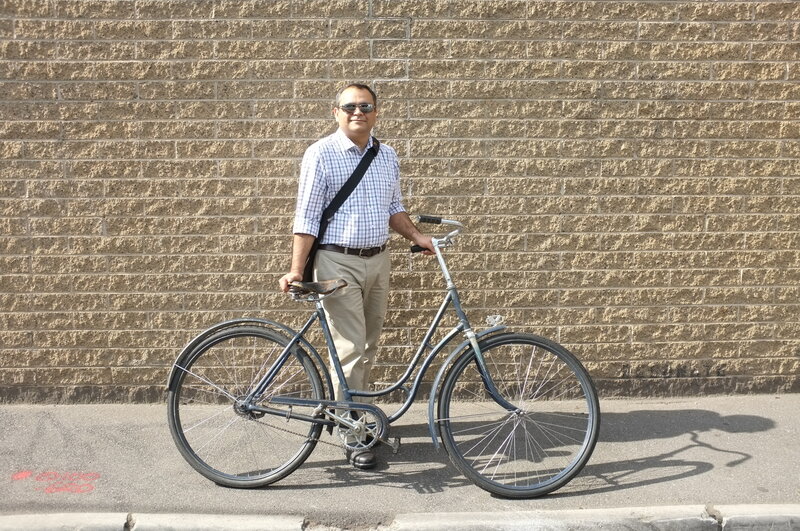 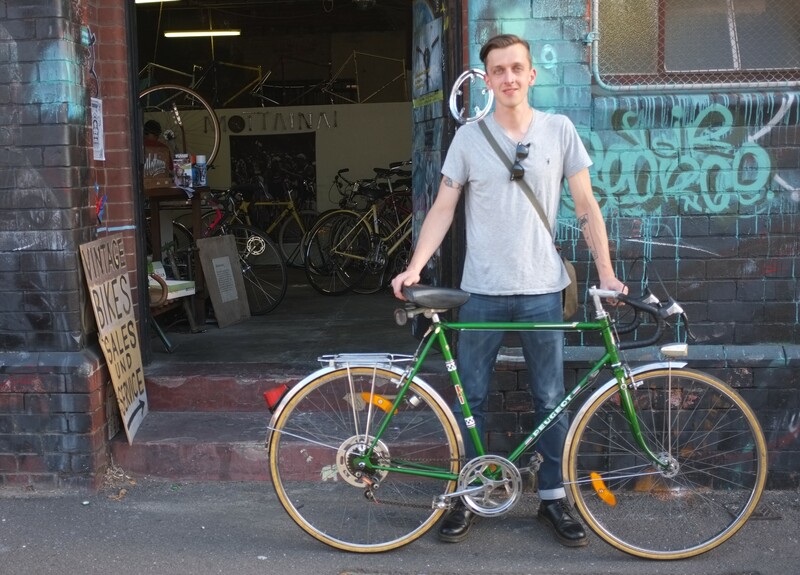 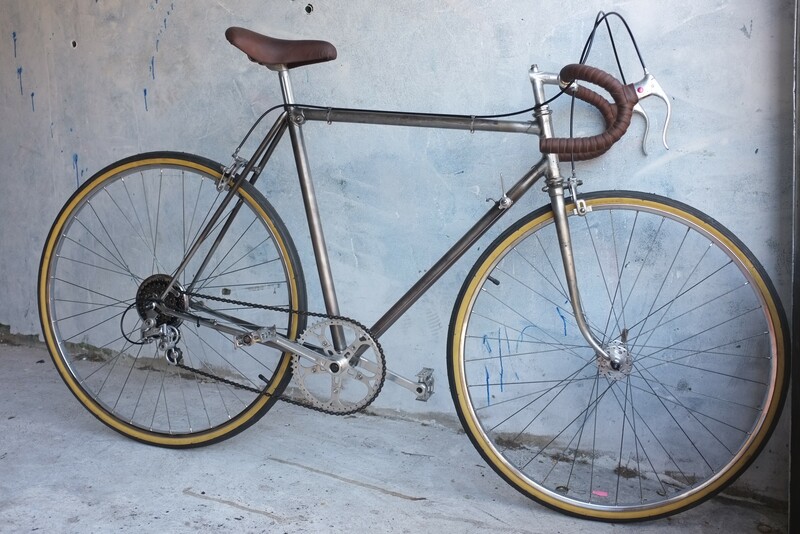 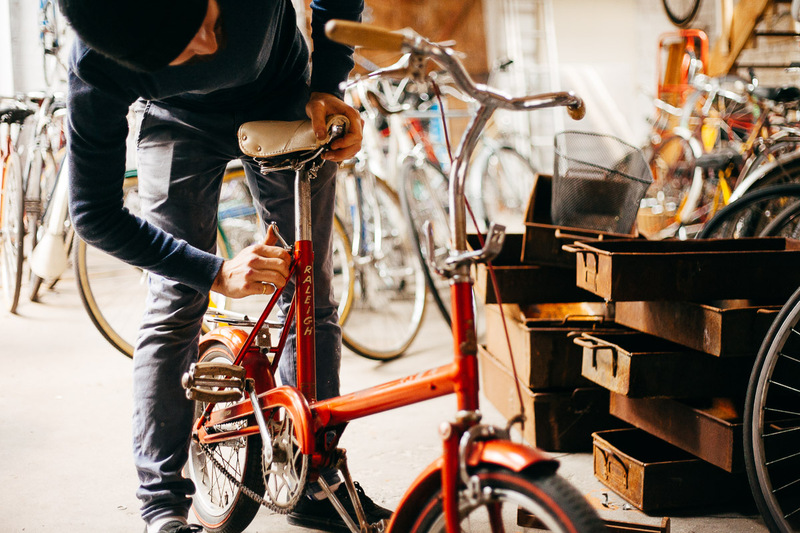 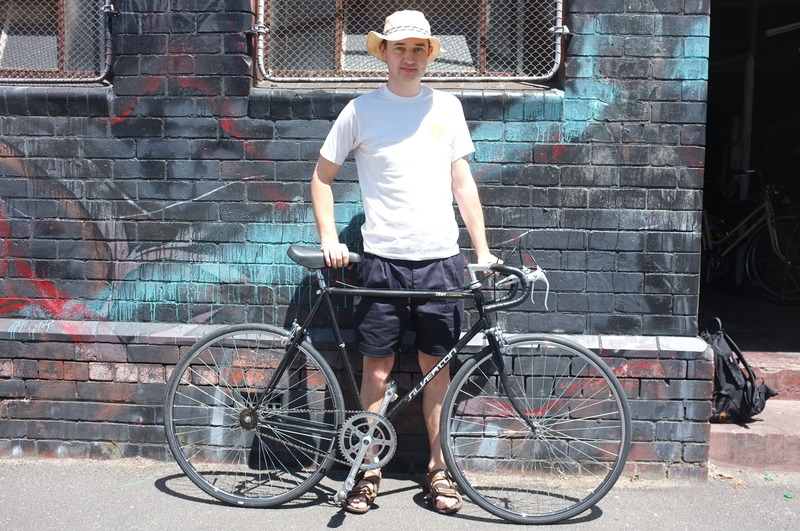 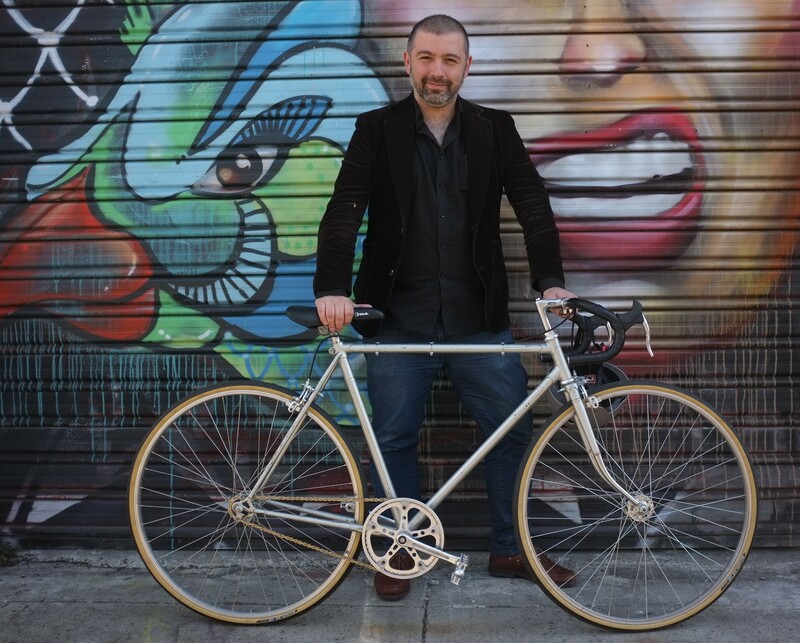 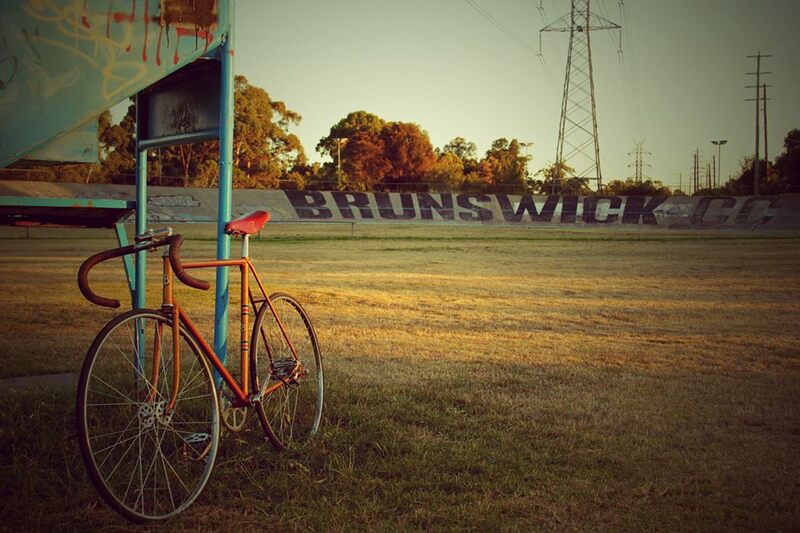 One of my favorite bikes, a Japanese Nishiki road master, restored and converted into a urban single speed with class. 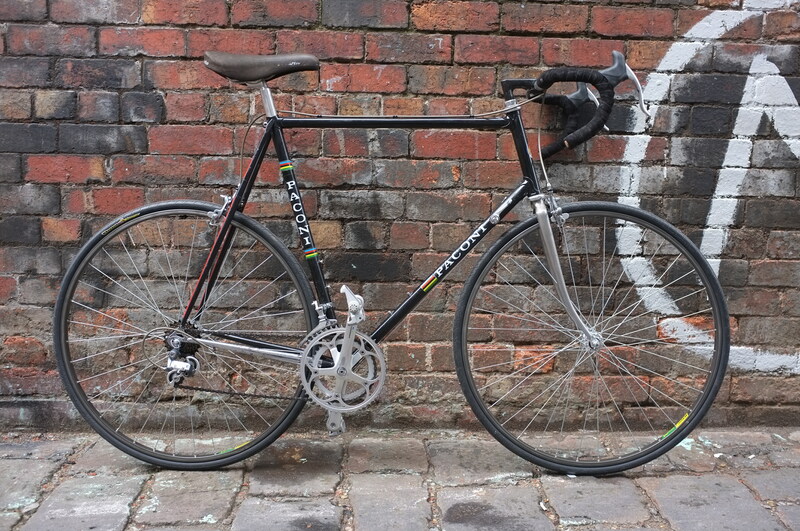 A restored Apollo, also in great original condition. 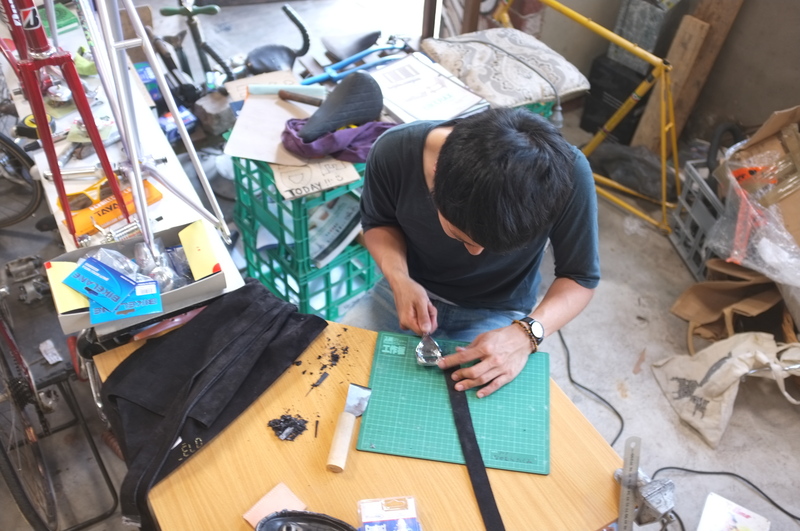 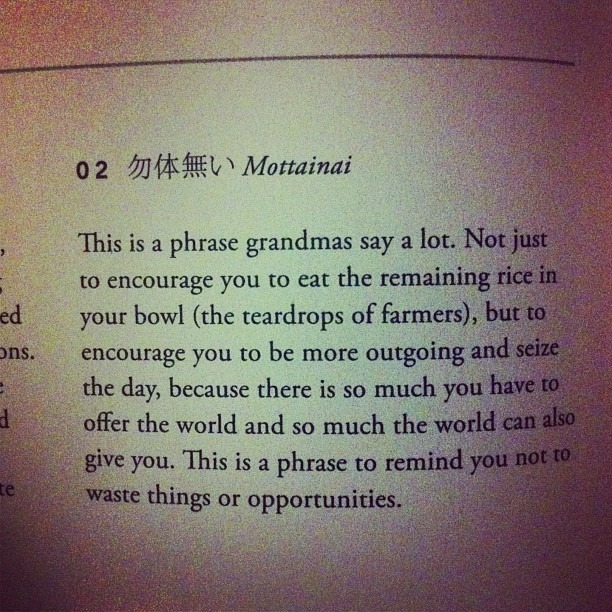 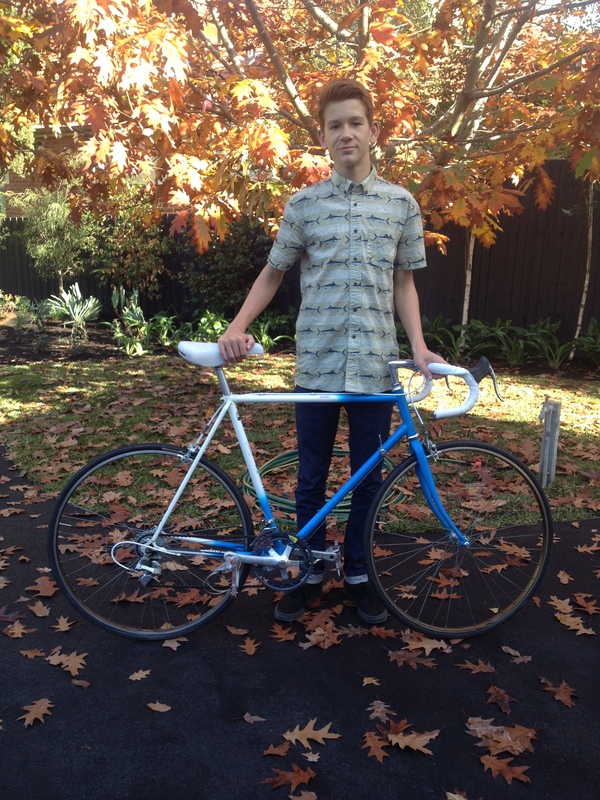 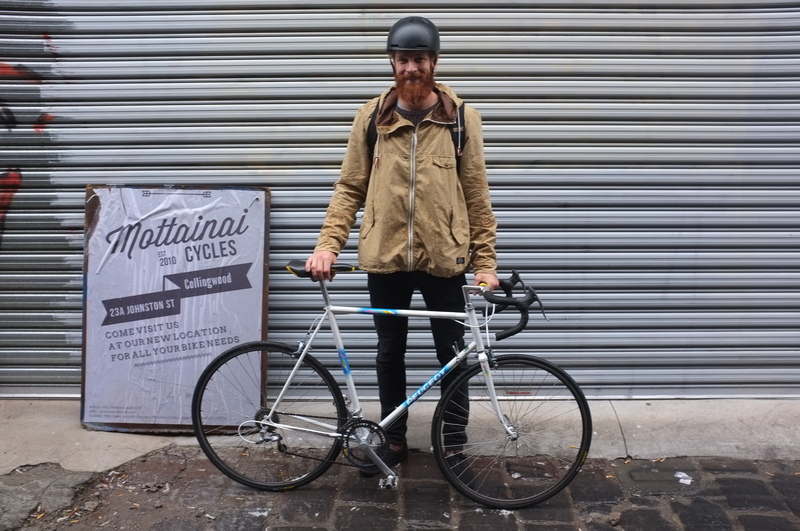 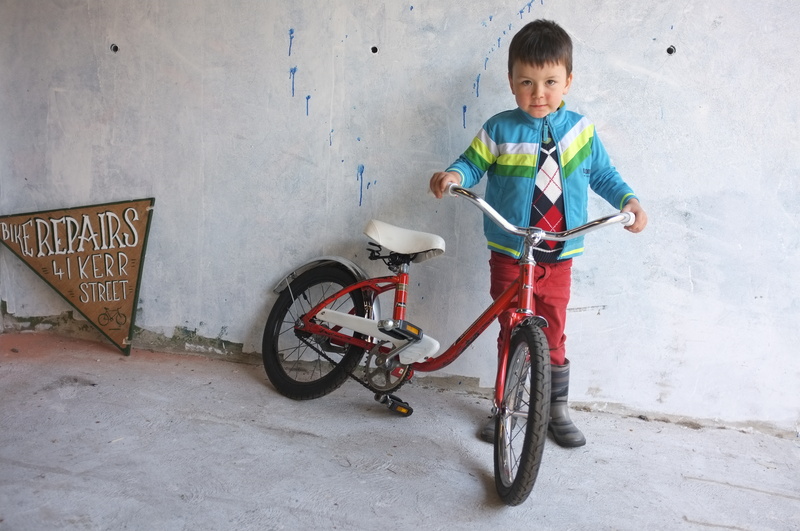 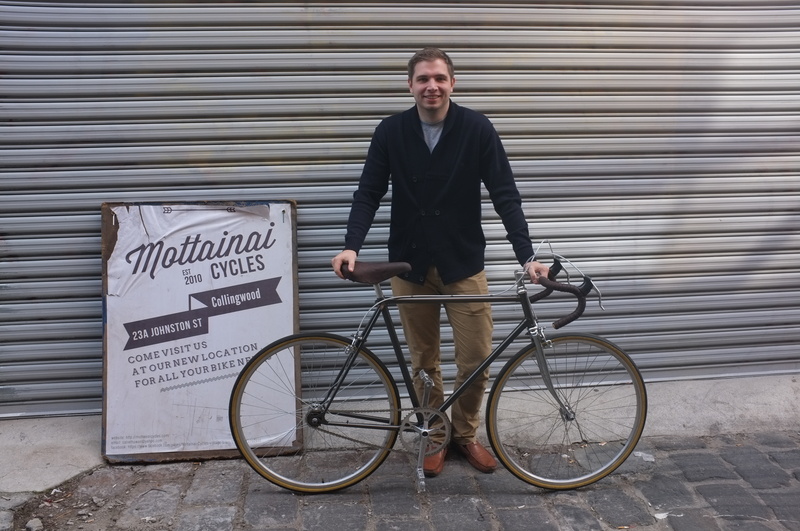 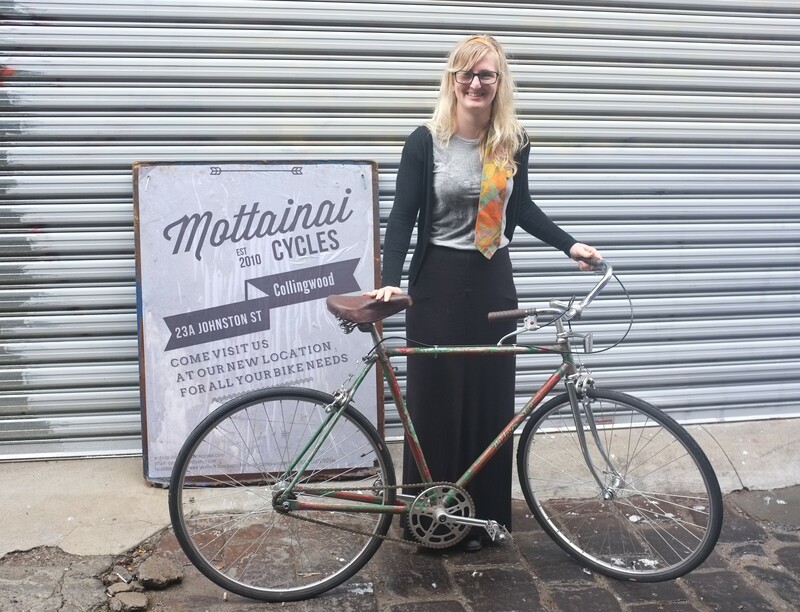 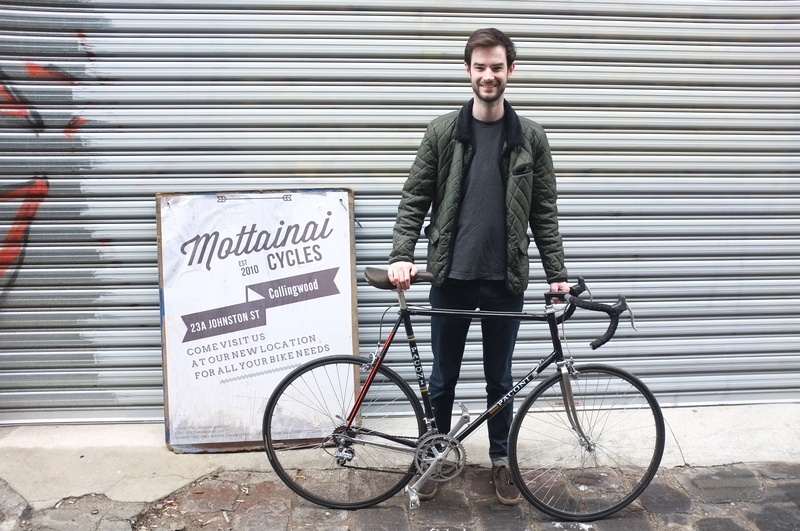 Get yourself a Mottainai bike! 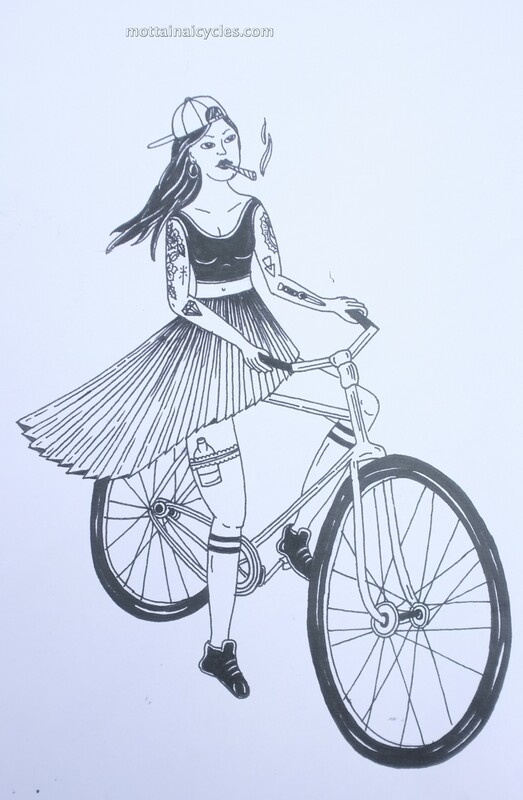 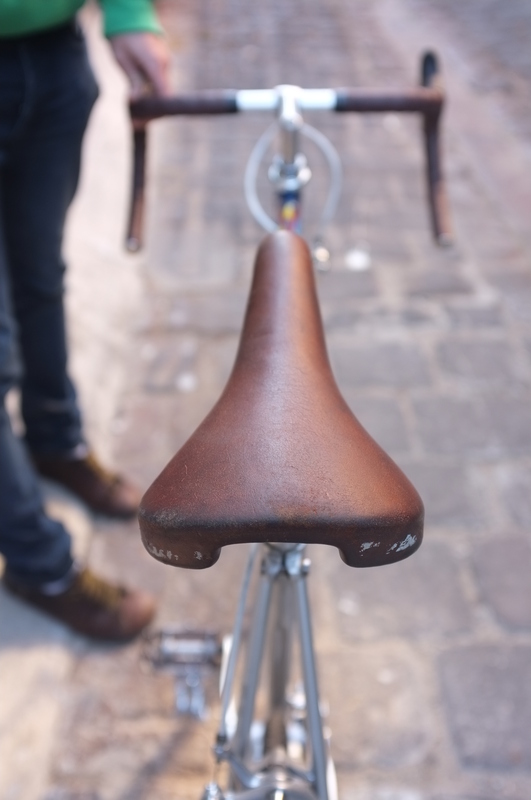 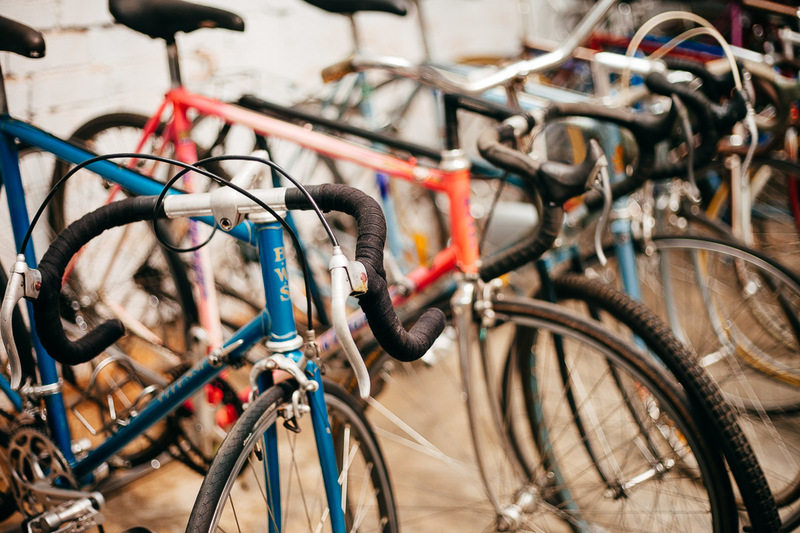 We build custom bikes and also have an amazing collection of rare and exotic bicycles in our store. 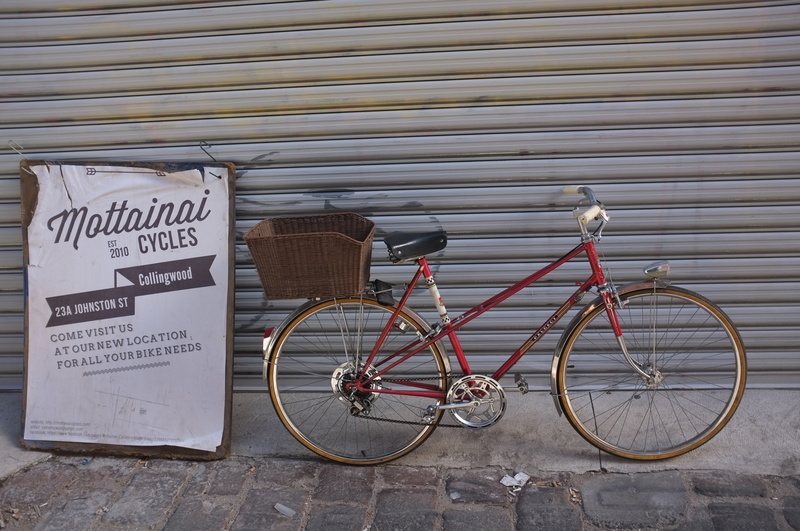 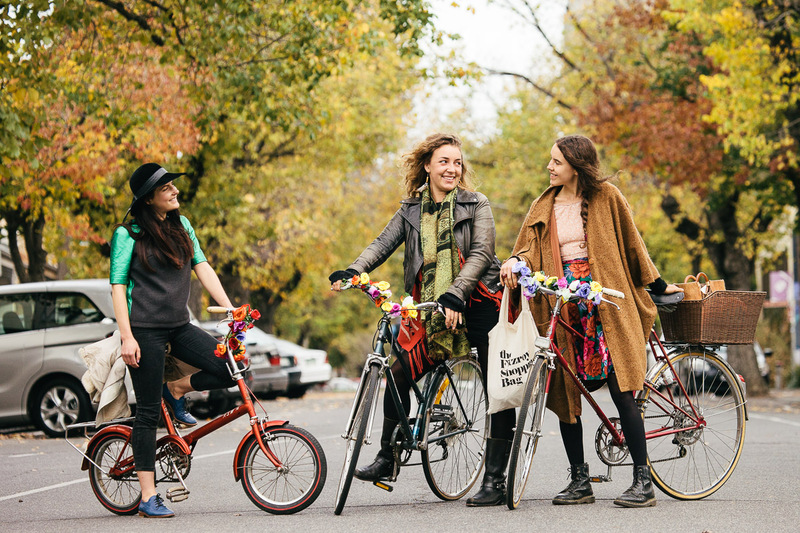 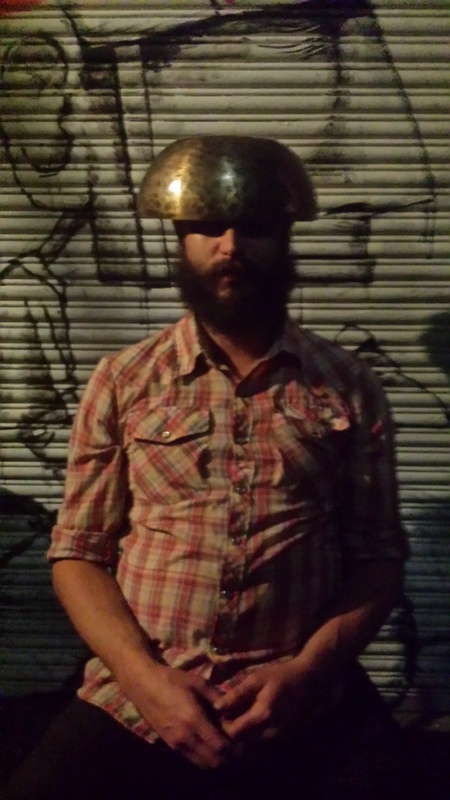 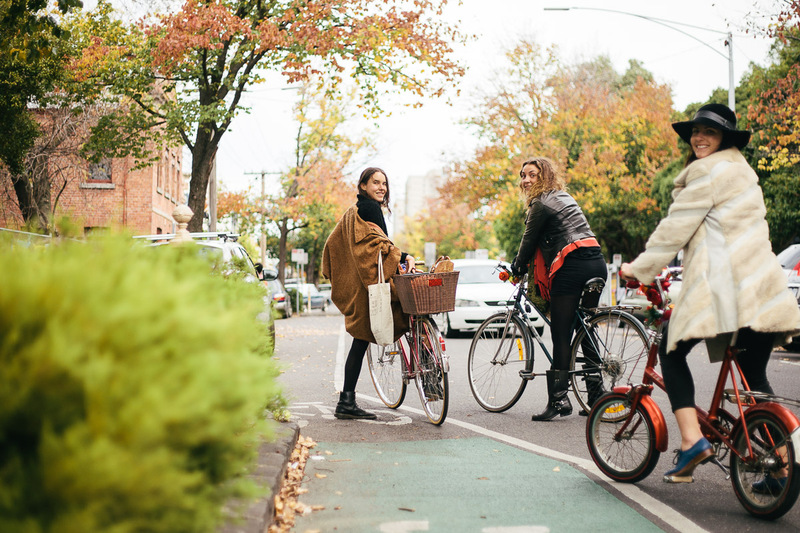 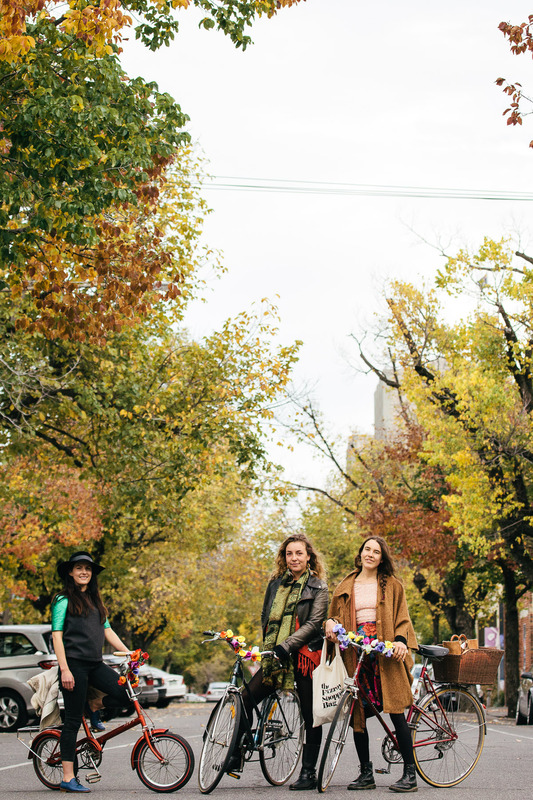 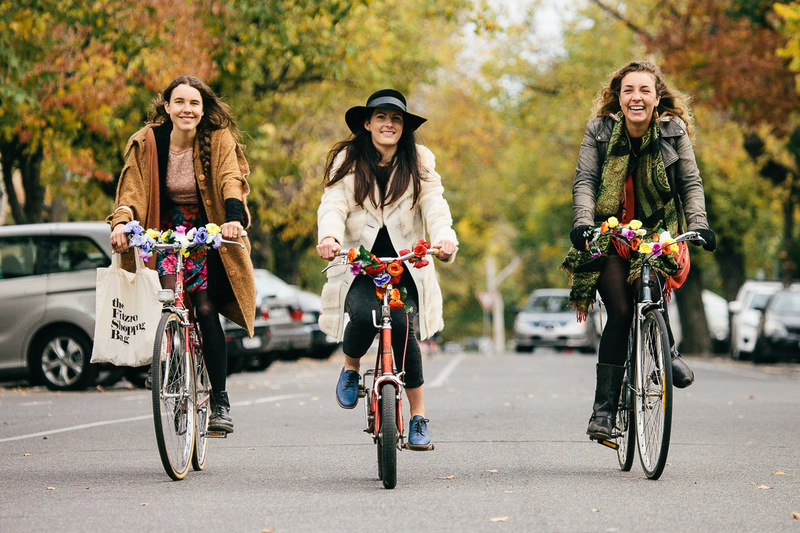 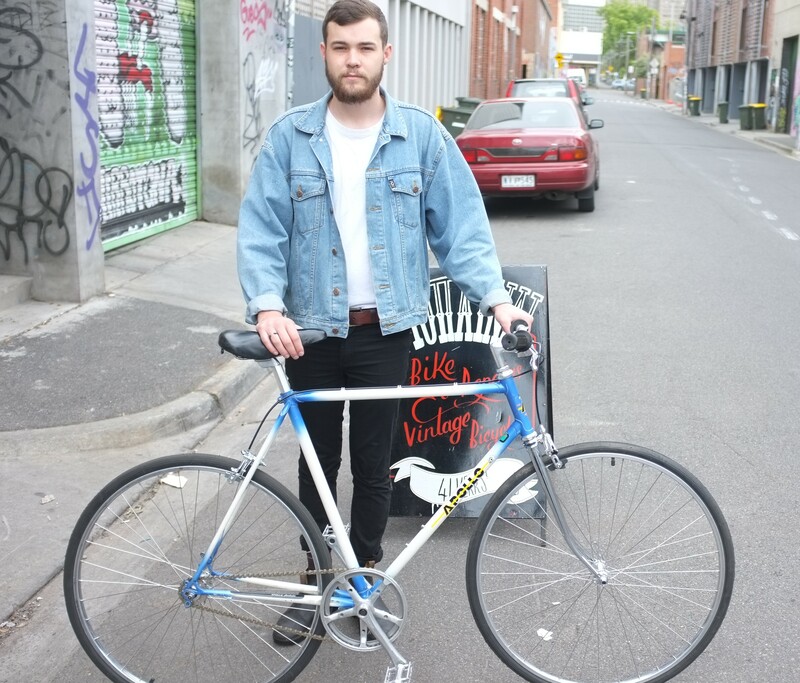 We are open every day from 10.30-6.30 at either 41 Kerr Street or 50 Rose Street Fitzroy.